Strike a pose, let’s get to it! 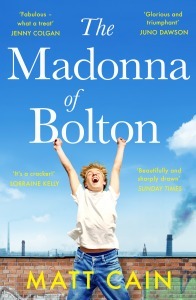 The brilliant author Matt Cain will be launching the paperback of his bestselling novel ‘The Madonna of Bolton’ at Central Library! Following the talk the celebrations continue with our latest Silent Disco! 3 hours of classic 80’s, 90’s and 00’s with a sprinkling of Madonna’s greatest hits throughout. Matt Cain was brought up in Bolton. He spent ten years making arts and entertainment programmes for ITV before stepping in front of the camera in 2010 to become Channel 4 News’ first ever culture editor. In Spring 2018 he stepped down as Editor-in-Chief of Attitude, the UK’s biggest-selling magazine for gay men. His first novel, Shot Through the Heart, was published in 2014 and his second, Nothing But Trouble, followed in 2015. 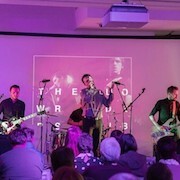 His latest release The Madonna of Bolton, was published in 2018 to acclaimed reviews.